November 25, 2018, 3:59 PM · ROTTERDAM -- Cast aside all those viola jokes that have stereotyped the instrument as a hapless relative of the violin and the cello: the most recent edition of the International Viola Congress shows that the future is bright for the instrument and its passionate practitioners. 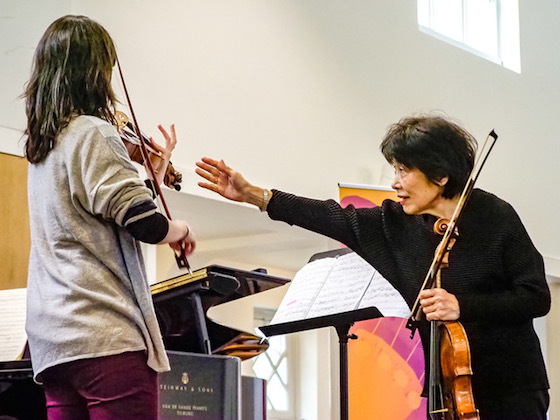 Almost a half-century ago, a group of performers and pedagogues launched a yearly conference with the lofty goal to increase standards of performance and to expand the viola repertoire. If variety is the key to success, the 45th edition situated in the hip and happening city of Rotterdam offered a mind-boggling and ear-challenging potpourri of events, from the making of a viola to technical tips on contemporary performance from the likes of Kim Kashkashian. Alongside research and mind-expanding performances, the 2018 IVC congress encouraged camaraderie and good, ‘playing’-old fun. At first blush, the viola repertoire appears to be limited especially in comparison to the violin repertoire. But, as a South African delegate noted, “what we might not have in terms of major concerti such as Brahms and Mendelssohn, we make up for in terms of new repertoire and experimentation.” Thankfully, as the congress proved, viola repertoire is expanding by leaps and bounds. Pedagogues, publishers and avid performer-researchers disseminated their ‘trade secrets’ in bringing hitherto before undiscovered jewels to the forefront. US-based violist and researcher Andrew Braddock told a rapt group of listeners how to go beyond Google to unleash an inner repertoire finder with contributions from the brains behind publisher Partitura Verlag. The Rotterdam event boasted an incredible array of options at any one given time, a true embarrassment of riches that forced attendees to make choices such as whether to attend a master class given by the ever-energetic Nobuko Imai or to experience Leo Samama’s erudition at a workshop on the ups and downs of composing for the viola. Nobuko Imai. Photo by Photo by Ben Bonouvrier. Bright and early the options included a 9 a.m. introduction to the Psychology of Viola Playing at the same time as an intriguing seminar on Improvisation Training through Scale Practice. And, just in case those treated to the action might think that inspiration runs dry late at night, a complete program of afterhours action took place at Matrix, a local club. Crossover performances that expanded the boundaries of the possible included: sleight of hand (!) electronics and the Spectral Viola by James Tenney at the witching hour. For those with a historical bent, workshops such as ‘The Influence of Lionel Tertis’ and a ‘Centennial Review of the 1919 Berkshire Festival Competition’ provided rare insights. Geographical ventures into ‘Music from the Fjords’, ‘Polish Viola Music’ and ‘Sound Images from Africa’ showcasing the world premiere of Franco Prinsloo’s The Broken String for viola and looping station thrilled the crowds. Organizers Kristofer Skaug and Karin Dolman deserve kudos for their organizational talents and commitment to diversity in filling the program with numerous options. Top performances were in abundance. With only 24 hours to partake of the four-day happening, the sheer number of topflight performances was considerable. Amongst the standouts was Timothy Ridout’s transfixing rendition of Britten’s Lachrymae. Closing a concert intended as an elegy to Benjamin Britten on the very date of the composer’s 100th birthday, the young British violist soared to new heights in a rendition that brought many to tears, a virtual recreation of the Dowland text, “Flow my tears.” The youthful Utrecht Strings provided an accompaniment in which enthusiasm won the day over precision. The iconic violist Atar Arad regaled the audience with the story behind the pre-intermission premiere, Concerto for viola and strings, ‘ceci n’est pas un Bach, a takeoff on the Magritte painting, ‘ceci nest pas un pipe.’ Regrettably lacking in musical originality, the composition was more of a tip of the hat to the long forgotten works written by Bach’s children than a homage to Johann Sebastian. Happily for the audience, Arad indulged the crowd with a virtuosic rendition of his Caprice no. 9 titled Benjamin to remind us of the great Britten. A concert entitled the Persecuted Viola took the audience to the dark days of the Second World War during which many compositional lights met an untimely death. Ásdis Valdimarsdóttir’s vivid renditions of Dirk Kattenburg’s Sonata for Viola and Piano and Max Vredenburg’s Lamento increased the audience’s perception of the magnitude and depth of compositions worthy of wide dissemination. 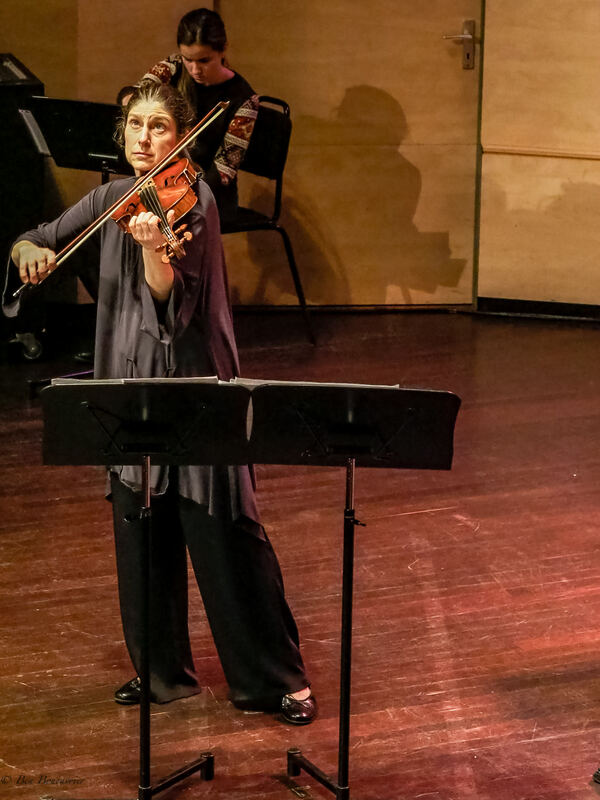 Kim Kashkashian joined forces with the American percussion virtuoso Robyn Schulkowsky for a groundbreaking evening of Music for Viola and Percussion. Welcoming the audience into a personal cosmos related to Kashkashian’s Armenian roots, the program opened with Three Taghs by Tigran Mansurian. Kashkashian treated the audience to the ‘story’ behind the music chosen. “I was a first-hand witness to the extreme poverty in Armenia following the dissolution of the Soviet Union. Interested in commissioning a piece by the great Mansurian, I traveled to his home. It was a desperately cold winter. His apartment was literally freezing as the heat came on for a mere twenty minutes each day. The only room that had some semblance of warmth was the kitchen. He played the piano in his parlor with frozen hands while I stayed in the kitchen—we communicated through frozen space.” The fragility of these works, laments steeped in Armenian-early Christian history left the audience breathless. Kim Kashkashian. Photo by Photo by Ben Bonouvrier. Kashkashian also shared a salient anecdote prior to performing selections from Kurtag’s Signs, Games and Messages. “You know, I worked pretty hard on the piece before I visited the composer. I was in my 40s and thought that I was more or less in control of the piece, in the zone. My meeting with Kurtag changed everything. We spent five hours on five bars! Everything, yes everything changed for me that day.” Music as experience, music as adventure: Kashkashian and Schulkowsky called out from the Armenian highlands to the center of Rotterdam with its panoply of compositions in which folk mystique glowed and swayed. No colossal event is worth its weight in violas without the creation of….a viola. 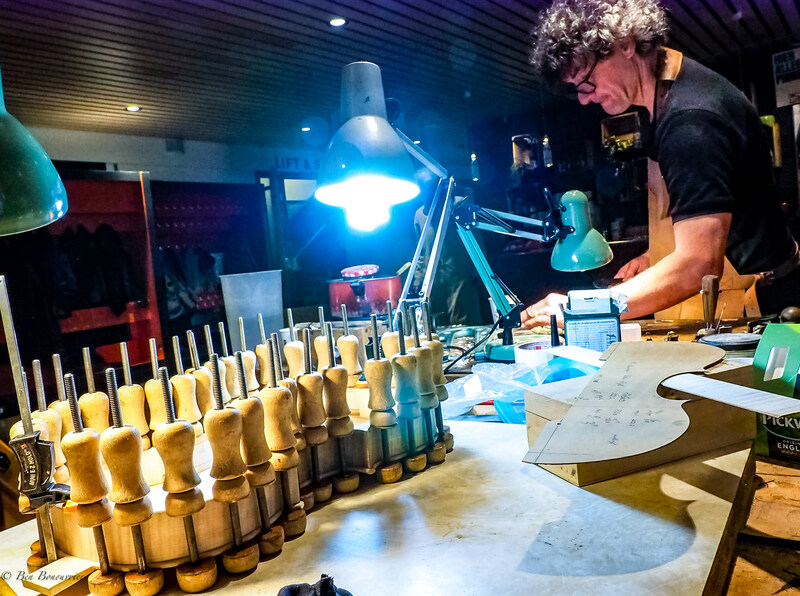 Four luthiers, Chaim Achttienribbe, Kai-Thomas Roth, Jan van der Elst and Gijsbert G.van Ziel put their minds and hearts to create an instrument as congress visitors mingled in the main hall at congress’ venue. The fruit of their labor was presented in all its glory as the final events took shape. Photo by Photo by Ben Bonouvrier. Comradeship, musical solidarity, joy and creativity brought the viola-fest to a close. The spirit of inventiveness, good fun and great learning will carry all who attended through to the next edition. Viola power is here to stay! November 26, 2018 at 06:03 PM · Dear Mrs Kurtzbauer, thank you for a beautiful article about the Viola festival. It was fun to make a viola for this event with my friends / colleagues. Thank you for naming us by name and the links to our websites. It was good to meet you at the congress. Thank you for the beautiful review. It was indeed a great congress!